We’re so excited to share the first 2018 wedding here on the blog! 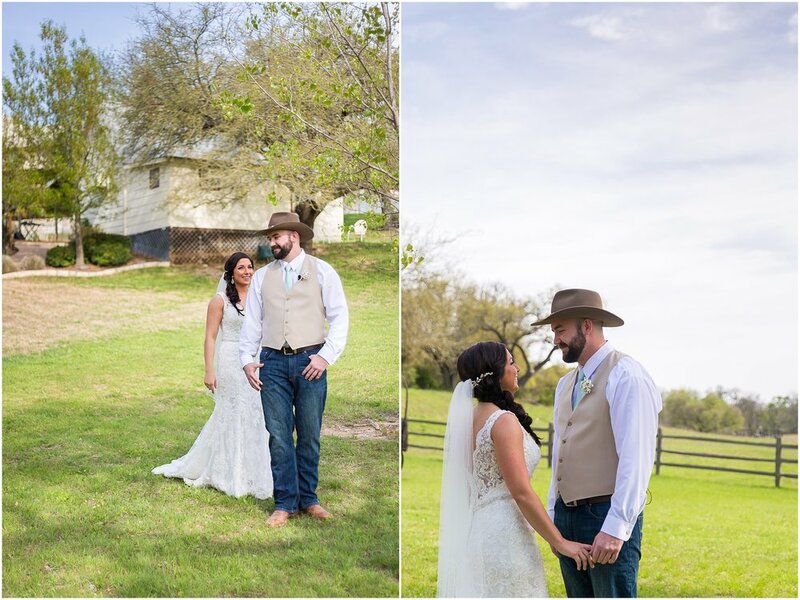 This past weekend we joined James & Elizabeth for their beautiful and perfectly-them wedding day at Peacock River Ranch in Gatesville, Texas. You may remember these two J&M Sweethearts from their romantic engagement session by the river. Do you remember how James proposed to Elizabeth back on New Year’s while they were fishing together, one of their favorite things to do? 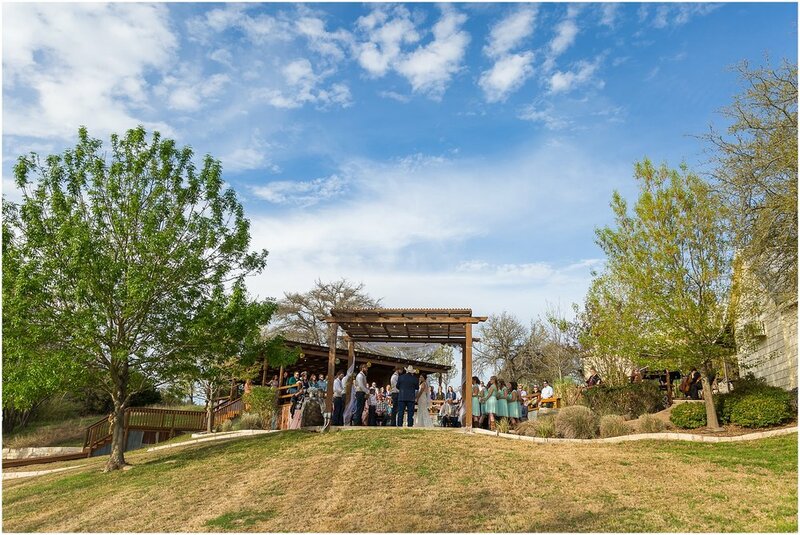 We kept the important theme of the Bosque River in their love story, photographing their engagement portraits at Brazos Park East. And just as their engagement session told the story of their engagement, their wedding day pulled together all the things that defined them as a couple and perfectly told the story of them. 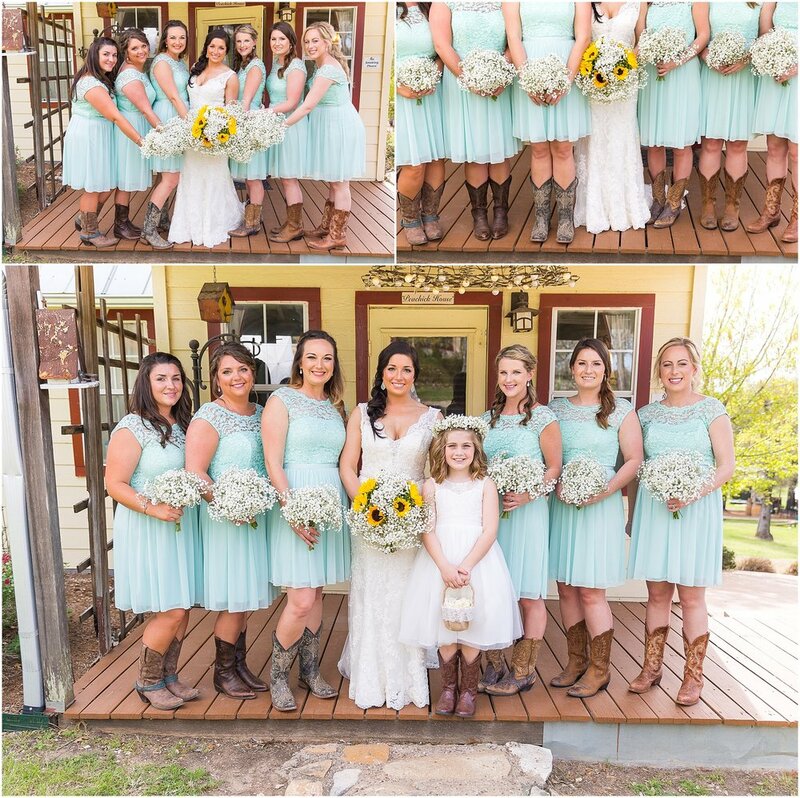 There were the soft, romantic touches of the lace on Elizabeth’s dress, and the bridesmaids’ turquoise dresses too. 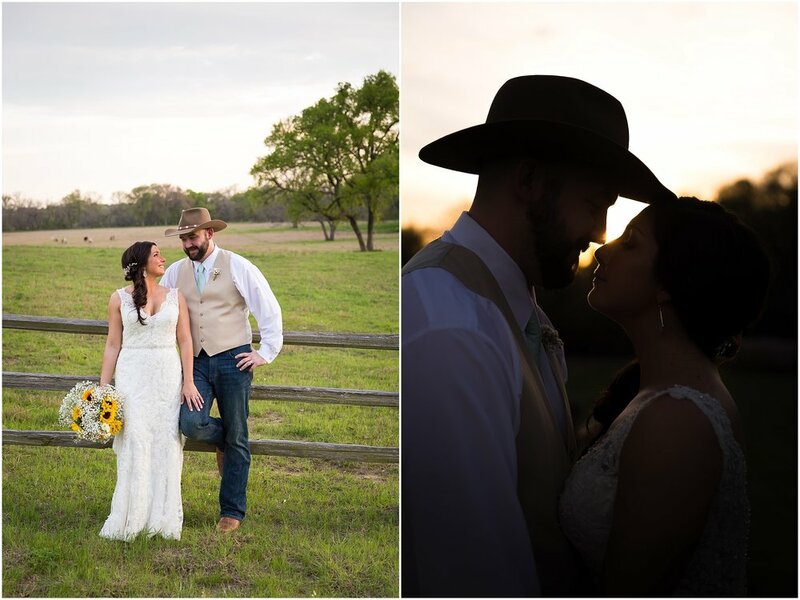 But paired with the lace were the cowboy boots that highlighted their love for the country and how one of their favorite things to do is go two-stepping together. 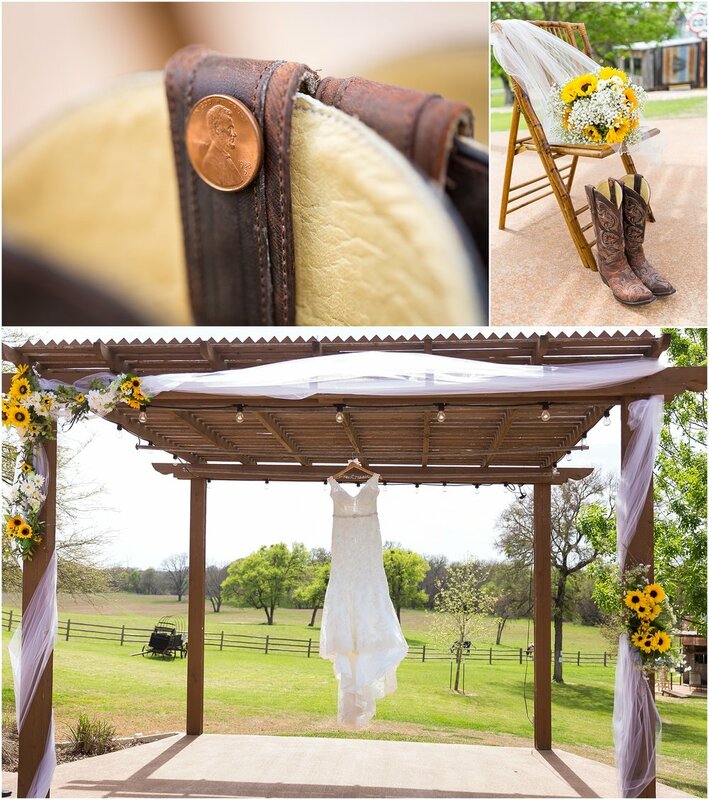 The romance and the country continued to blend together well in the burlap and lace table runners, the twine and lace in the invitations, and the baby’s breath and sunflowers in the centerpieces. 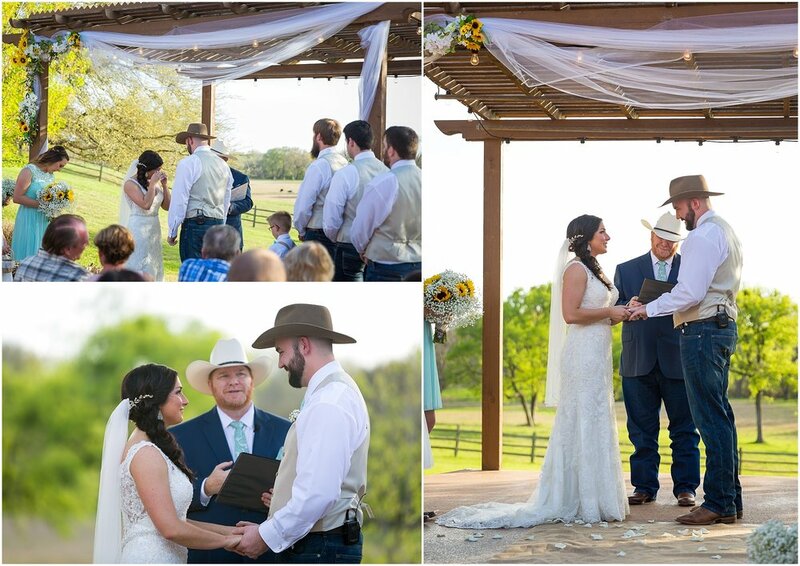 Even Peacock River Ranch, with its expansive views of green pastures marked by a wooden fence line, kept the romance of the country in the guest’s mind as they watched James & Elizabeth become husband and wife. Their wedding details also pointed to the importance of relationships in their life. Elizabeth glued a penny in her boot, dated 1988, the year she & James were born. 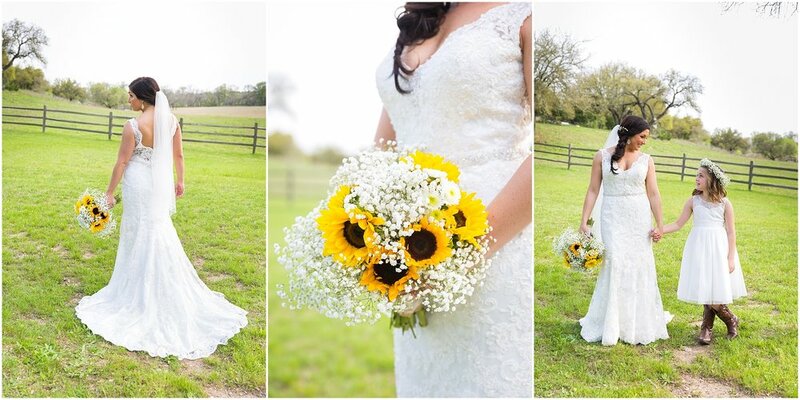 On her bouquet, she pinned treasured items to stand for her “something old, something new, something borrowed, something blue,” as well as remember her late father. James’ mother made all the floral arrangements, including Elizabeth’s bouquet. Elizabeth’s friends, Erik and Stella Johnson from Cuppiecakes in McGregor, made the cake and cupcakes for the reception. 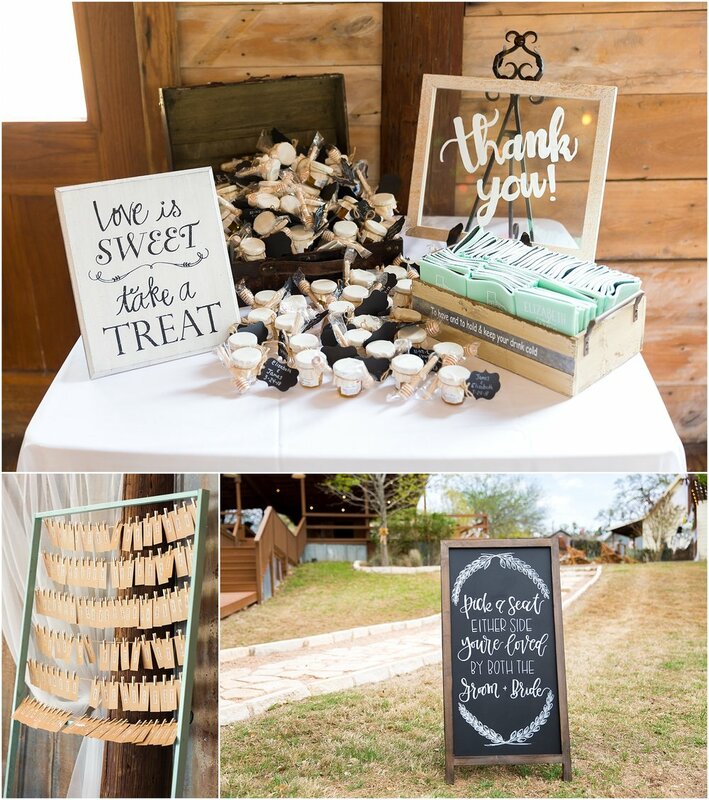 Most of the gorgeous hand-lettered signs were made by Morgan Johnson with Watercrest Mill, while the remaining signs and invitations were done by Elizabeth, her soon-to-be mother-in-law, or her dear friend, Brandi. 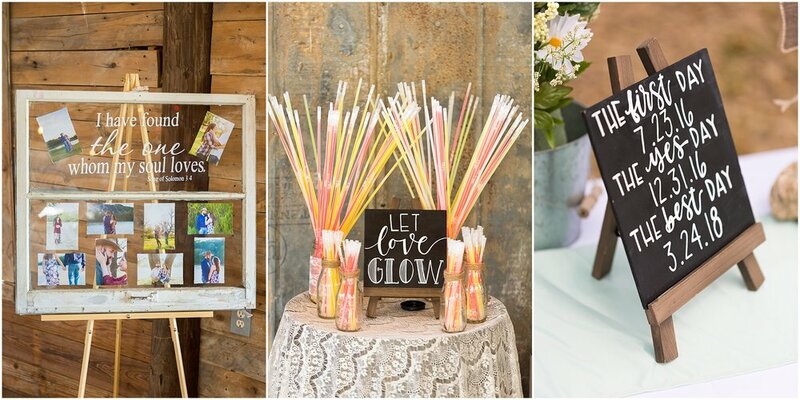 With the help of friends and family, these Sweethearts planned the perfect rustic wedding, full of romantic details and sentimental elements. But James & Elizabeth’s love story wasn’t only in the details. It was in the face of every person at their wedding. 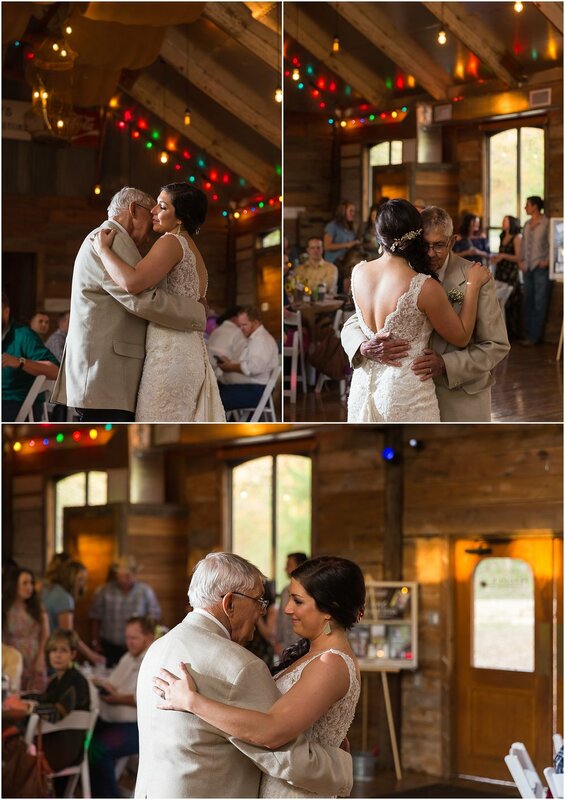 Family and friends came from all over the country to celebrate the love of these two Sweethearts. This love was felt throughout the day during so many touching moments - when Elizabeth and her dad were teary-eyed when they first saw one another, when Elizabeth smiled through happy tears at her first look with James, when they both laughed and cried a little while exchanging their vows, and when Elizabeth’s sister began crying during her toast and then laughing through her tears. 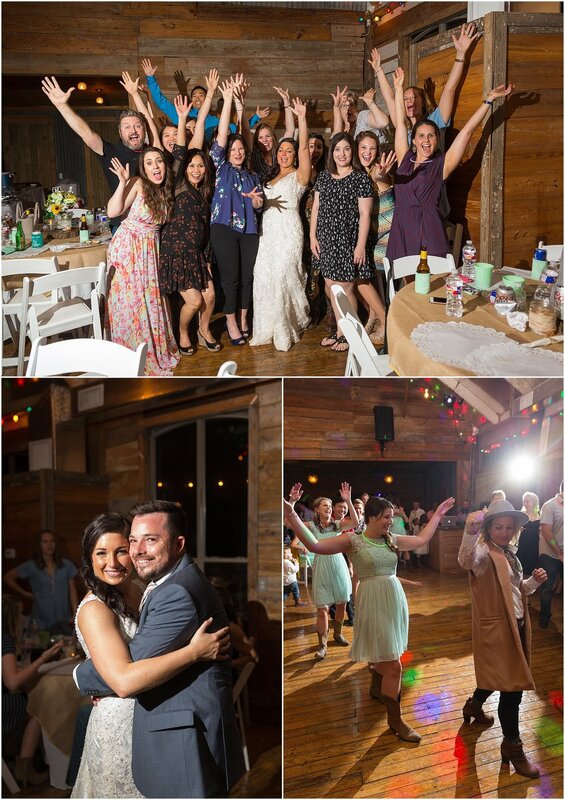 And after dancing the night away, James & Elizabeth were showered with the bright lights of sparklers held high by friends and family, ready to walk into their next adventure. 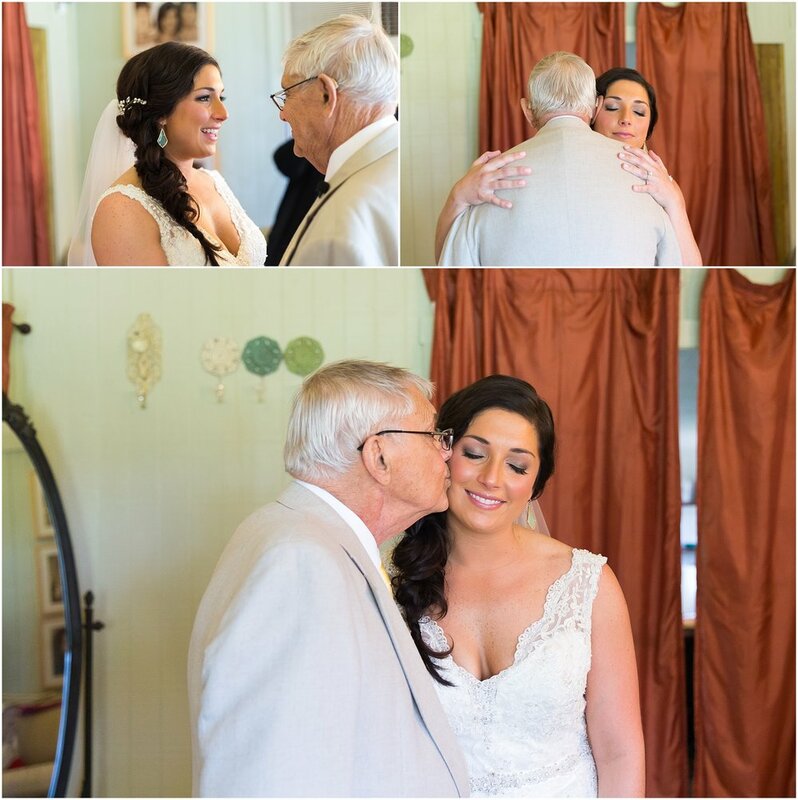 Your wedding day was magical and so full of love! We pray the love you felt that day is a firm foundation for your marriage to grow on. And as you return to life at home with your pups and your normal routine, we hope you remember the joy and love of this day every time you look back at your pictures. Want us to help you remember the love you felt on your wedding day for years to come?